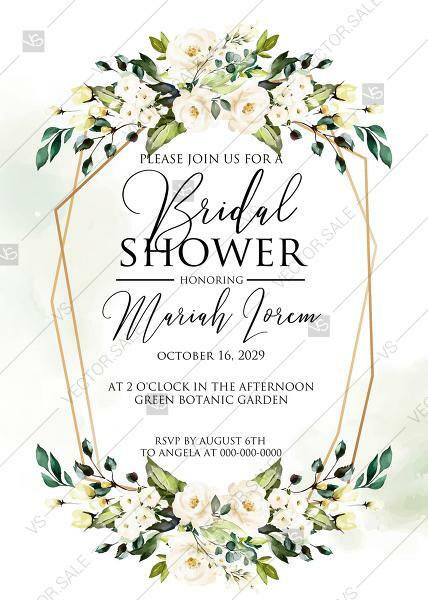 Online store with a huge collection of exclusive vector templates for Wedding Invitations, Bridal Shower, RSVP, Save the Date, Merry Christmas cards. Instant download of vector invitations on demand and by subscription plans. Customize and personalize your design using online wedding invitation editor. White rose peony greenery watercolor bridal shower invitation free custom online editor 5''*7''.